❤️ JHJ Oct 05 2018 9:41 am Such a promising actor. ❤️ Soo Baek Hyang is the best Kdrama series for me. ? Shin Su Hwa Aug 18 2018 4:40 am I am watching Let Me Introduce Her because of Jo Hyun Jae . I hope it'll get the highest rating ever . maribel barrientos Jan 27 2018 8:05 am please give him more dramas i miss him to watch.. he is such an aming acting..
jinjoo Jul 06 2017 6:59 pm i'm watching his old drama 2nd time Love Letter & his acting here should've won him best new actor award or something, he was good as Andrew or Woo jin! i wonder why he didn't win or nominated! such a good actor in the dramas i've seen of him! he's one of my 10 top K actors of all time! i hope he does another drama and i can't wait to hear about him again! we miss you! fighting! Arielle Apr 02 2017 8:50 pm The hottest actor in Korea! He's also a good actor as well. I hope he gets better roles in the future. Peter r Mar 15 2017 11:11 am I know, he's not so good actor if he had to cry, to shed tears or to show a great, huge anger. I appreciate him enormously for his honest eyes, for his pure act in drama series ,,Seo Dong Yo'', also again in drama series ,,King's Daugher, Soo Baek Hyang'' _he was wonderful, the best choice for that role, I think so. Congratulation. Vlvl Feb 10 2017 3:15 am He is really so handsome and charismatic. I hope you'll be together with jang nara in the housewife detective drama. sugarpie2u Nov 13 2016 8:00 pm woh.. the drama 49 days he acted so good!!! gayathri anu (india) Nov 11 2016 7:35 am I love u so much..... am so impressed of your acting.... make another romantic serial. ikemen Oct 24 2016 4:34 am Im so impressed of his look and performance from the old drama. I pay more respect since he looks very alike to my dad! I know it would be a fun thing to say until compare in real life but everyone in my family like to see him on the screen and make joke about dad, sorry pop LOL! I hope he gets more lead roles in up coming projects! Melody Apr 14 2016 3:34 pm Was watching the 40 days mv from youtube... which capped me to search about him, (wondering what drama he is acting in these days). But I was quite shocked to realise he was the evil brother in Yong Pal. Couldn't believe that I didn't recognise it was him from 49 days drama. Haizzz feeling bad for my blindness. Anyways, I'm glad he still acts but I hope he could gain a main character role though in the future. As he really does have a handsome face! kriz Feb 07 2016 12:27 am from the moment i saw him in the kdrama "only you" way back 2005, i really cannot forget how he portrayed his role with Han Chae Young. I really Love Him and Ms. Chae Young ... I am his AVID fan. Dalyna Jan 26 2016 8:13 am Great actor! Does anyone know where the european fans would find "Rays of sunshine" with english translation? Thank you! Tel Oct 24 2015 6:58 pm Yo handsome... You're a great actor.... no matter what. Hoping you'll get more lead role as your personality dictates it. Great acting, appearance and charisma. Careful in choosing drama plots!! tp Sep 13 2015 10:27 am Even though I really dislike your role in Yong Pal but you're damn good! Carla Miller Sep 11 2015 7:36 am You create your character well. I hope you will be chosen for the good guy more than the bad.. There is a sadness in watching you be the bad guy, really. From a mother's/grandmother's view..
Thel Aug 31 2015 2:16 pm Hi there handsome... I love you since Nine Tailed Fox w/ Kim Tae Hee.... that was such a great movie.. still watching it now.. fighting on all your new dramas!! Hoping you'll get more lead roles..
honey Aug 28 2015 1:17 am Han Do Jun of Yongpal great acting!great work! honey Jun 30 2015 12:36 pm Oh my oppa!cant wait to see u in small screen...good luck in ur new drama! karishma Jun 30 2015 12:16 pm OH MY GOSH!!!!!!!! !..............so cute and handsome JO HYUN JAE. Just finished watching 49 days and feeling so much painful and upset. you are amazing as Han Kang, so cool ,so much cute, very lovable and so much caring person ,honest and really a handsome guy. you are an amazing actor. After watching 49 days ,as I am in very big fan of yours so, i am also searching for your another dramas and want to see it. 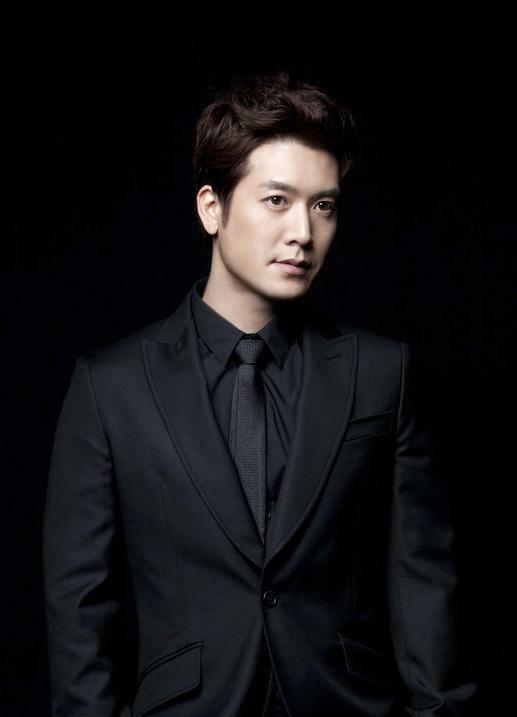 hazel Jun 29 2015 1:28 pm I love Jo Hyun-Jae! honey Jun 13 2015 6:06 am After i watch kings daughter i look for other jhj drama.i really love his dramas.he is such a good actor and of course a real handsome guy! Ana Aluesi May 21 2015 3:49 pm Thanks for all your amazing acting role in Kings Daughter .I am actually from New Zealand even over here you have some lovely fans who adore all your acting on Movies and Drama. I have to say that my favourite drama is King Daughter....was hoping you and Seon Hyun Jin do more acting together and might as well be good couple acting together you do look good together.....look forward for more of your acting. Bella Oct 13 2014 3:58 pm We love you JHJ.. We love your tandem with Han chan Young sooooo muchhhh more blessings to come and God Bess You Always! Hellen Oct 13 2014 3:50 pm Really handsome JHJ Super.. I'm From Philippines,i Like your tandem with Han Chan-Young... I Wish You More Blessing To come And God Bless You Always! Liezle Sep 08 2014 7:18 am Hi jo hyun jae,i really like you so much,specially your drama,3 dad and 1mom,i super like that drama,because you are the one i looking for..i like the shape of your lips.hoping that you have more,drama to come,,specially team up with song hye kyo,you to are fabulous.looking forward to see you!sarangheyo!!fighting.!! joanna Aug 31 2014 10:10 pm your sooooooooooooooo cool as an actor..love yah! mfae Aug 29 2014 6:59 pm youre so good looking and you act so well. im a big fan of yours. faem Aug 29 2014 6:42 pm You're so good-looking. And you act so well. I'm a big fan of yours. helen Jun 04 2014 10:39 am take care, God bless you always.take rest, enjoy your vacation.I'll be waiting for your next drama.hope you can visit philippines again, your my favorite actor and loveletter is my favorite koreandrama it really touches my heart, and the theme song do you believe in love and farewell to heaven which sung by tribe, I really love this two song, in which i already had memorize the lyrics in korean language.hope your always happy our dear jo hyun jae. Movie Buff Mar 13 2014 4:36 pm Jo Hyun Jae, you are so wonderful in all your dramas that I have seen of you. Love you in 49 days and many more that you portray. Very manly man. You are why I started to watch this drama, and love it. Thank you all of the staff for working hard and hopefully we will be continue to enjoy it until the end. Hope to see you in more dramas and I know a lot of fans love you very much. They love to watch you. Your dramas fit you perfectly. Keep on FIGHTING. Looking forward for more. Greenluvs Dec 13 2013 7:47 pm Love his acting! I am especially enjoying his performance in "Su Baek Hyang." Zin Me Ko Nov 24 2013 1:37 am I'm your fan.I'm from "Myanmar".I'll always be on your side. IK Oct 07 2013 1:58 am You are are so cute and you have a strange attracting look, I wish in real life you have the same character you have in love letter.I fell deeply in love with that. Sandra Oct 05 2013 9:47 pm Han Yi-Joon, I love your drama "ONLY YOU", been watching endlessly. I hope that, I can watch again you and Cha Eun-Jae together in a family drama. The two of you really have best chemistry. Wish that luck be with me, Maybe accidently met and have photo with you...Good luck! janice Sep 02 2013 10:20 pm Wow, so handsome as acting the movie. I love watch the movie. bernadette Aug 27 2013 9:20 pm Goodluck to you Jo Hyun-Jae for your new series. Hopefully, it will be shown here in the Philippines. Korean drama is better watched Filipino-dubbed. It's harder to watch at the same reading English translations. I really can't understand Korean. How I wish I could learn some. Anybody willing to teach me, please? Or did anyone know if there's English-dubbed Korean dramas? May I know the website? Thanks. ever Aug 19 2013 7:21 am Super handsome!!! i like him very much..
Cha May 23 2013 9:45 pm i really like this actor,he and nam gyu ri in 49 days are in good pair..
JoongWoo Feb 15 2013 10:20 pm i love the way you act, your hairstyle, your fashion style i love it all especially for your eyes :D teehee Fighting for Ad Genius Lee Tae-Baek drama! Diana Dec 26 2012 2:33 pm You are the perfect combination of cute and hot, your acting is brilliant. Bear289 Oct 28 2012 10:41 pm nilarmoon, please stop hating gifted actors, especially based on superficial dimensions. His acting in 49 Days was absolutely wonderful, essential in lifting the drama to whole new level. Whilst he may not jaw-droppingly handsome, it is his talents and gifted ability as an actor to portray a wide array of characters that has pulled him through the entertainment industry. Pat Waits Jul 21 2012 2:33 pm Just finished watching 49 Days. Thank you. I laughed and cried more than with any other series. I look forward to seeing you in future works. Even subtitles did not distract from my enjoyment of you/your character on screen. I will attempt to find prior works to see also. Jennifer Apr 24 2012 2:37 pm You're amazing handsome! Awesome job in 49days. Bibette Sia Jan 27 2012 6:35 pm I used to like Jo Hyun Jae, I watched all his dramas, but I was magnetized by Kim Hyun Joong and was captured by the Alien Prince. He's not selfish, Hyun Joong has a wide range of fan network that I can easily access info about him. How I wish Jo Hyun Jae could do the same. It can help his popularity. He should have a blog account exclusively for his fans. I'll still watch his drama in case he has. Does any of his fans knows his whereabouts and his activities so you can follow through his career activities? Lia Georgia Jan 09 2012 8:48 am the story remind us about the value of life and people who we loved. So,i like it serial drama korean "49 Days"
lovelyn Nov 23 2011 8:26 pm I really love you jo hyeon jae!!!!!!!!!! i cant wait to your next movie and drama!!!!!!!!!!!! Ph Diaz Jul 15 2011 10:49 pm Seeing him on screen again makes my worries lesser. Keep it up and take care. MA Jul 06 2011 4:43 am 49 days was an incredible drama and he was perfect in his role of Kang Han. wait to see more dramas from him. hitokirihoshi Jr. Mar 16 2011 11:58 pm i'm currently, rewatching "Only You." Hyeon Jae Jo was very cool and effective in this drama. cookie58 Dec 16 2008 1:43 am Have watched all your drama shows from 2003 Love Letter to the latest 3 dads and one mom. Hope to see you in more new shows. When I first saw your film ( loveletter), I wasn't that interested in you coz your charactor there was like a cold secret man. But, after watching "one mother three fathers", I deeply appreciate you and your performance. Well, in my opinion, amusing but gentle charactors suits u definitely. You truely are a cute handsome man. Wish u have the most successful and peaceful life.